In racing applications we have found that both the TH-350 and Powerglide factory filters are questionable as to whether they can draw sufficient fluid under high rpm racing conditions. To assure a proper fluid supply at all times we have built an adapter kit to install a high flow Chrysler Torqueflite filter in both of these applications. Must be used in conjunction with a cast aluminum deep pan. 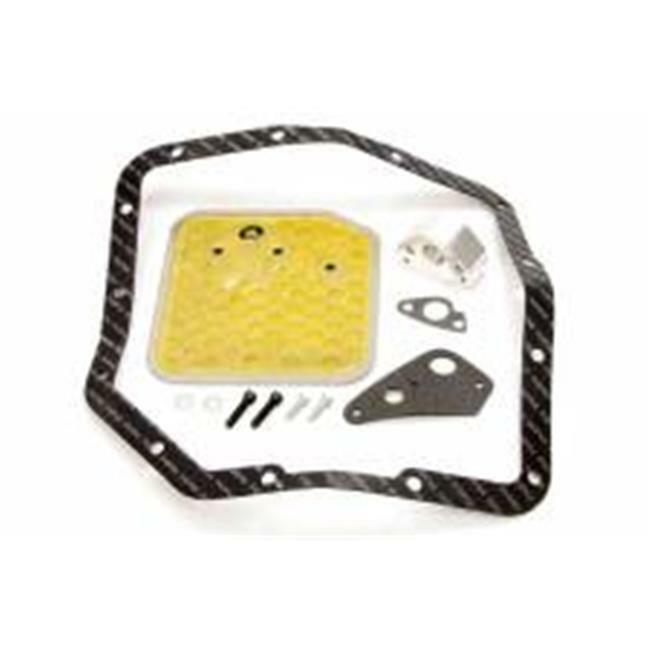 Kit includes one filter, filter gasket, oil pan gasket, and filter adapter with mounting hardware.